After writing several posts recognizing illness as a smack upside the head to make fundamental changes in areas of life that hold one back, I looked at my bucket list and am I tackling #2. Number 1 was getting a website. The second item is getting my poems and “wall poems” published. This is a long-overdue project and I’m not very patient these days. I took a chance and filled out a grant application for an Individual Artist Grant from the City of Chicago last spring and guess what! I got it, which means I can’t procrastinate anymore! 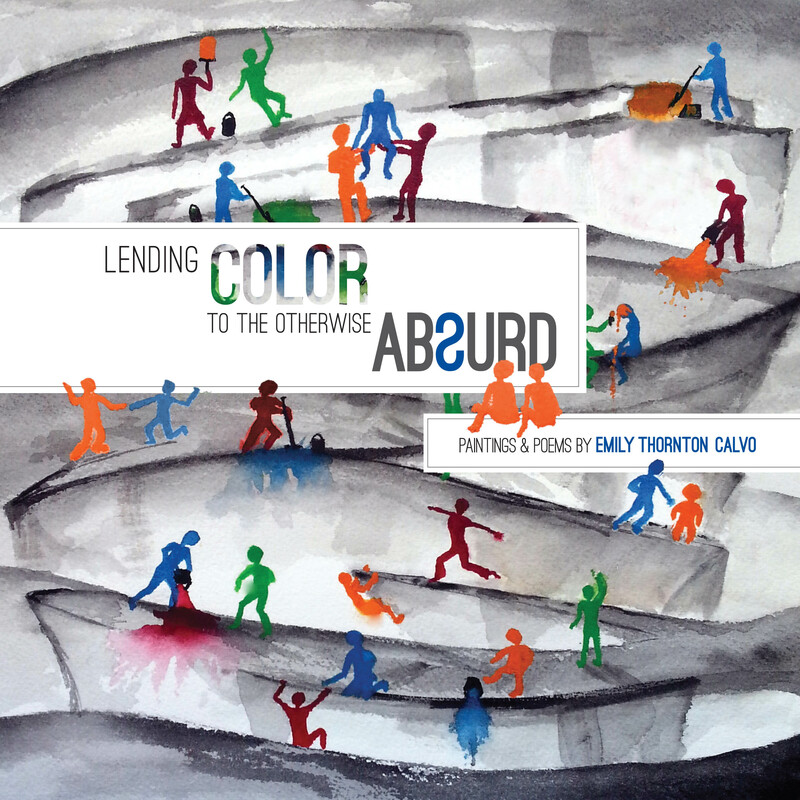 Introducing Lending Color to the Otherwise Absurd. With the help of some design cohorts, the book’s cover looks great and uses a painting I created with the book in mind. I didn’t want to send my manuscript to a zillion editors, wait for one to accept it and get sent to market my book for them, so self-publishing seemed a logical choice. BookBaby.com has talked nicely to me and can accommodate the grant budget, so I’ve given the project to them. Hopefully, all will go smoothly. I am planning on a fall release date. and points for his new pacifier. between video games and military maneuvers. presents an offer as if selling meth. he makes enough money—for now. In response, he’s told to think of his future. on his boot heel and marches out. his hands on his hips. idle in the no-stopping lane. before there is peace in aisle six.